ACD Distribution Newsline: New Paizo Releases-Coming this December! The Return of the Runelords Adventure Path continues as the heroes must infiltrate the icy realm of a terrible demigod on the Shadow Plane to perform the ritual needed to enter an ancient, time-locked Thassilonian city. Once there, the heroes must navigate a complex web of intrigue, politics, and looming threats to find the key to saving a storied nation from the wrath of a runelord! "The City Outside of Time" is a Pathfinder Roleplaying Game adventure for 15th-level characters that continues the Return of the Runelords saga. 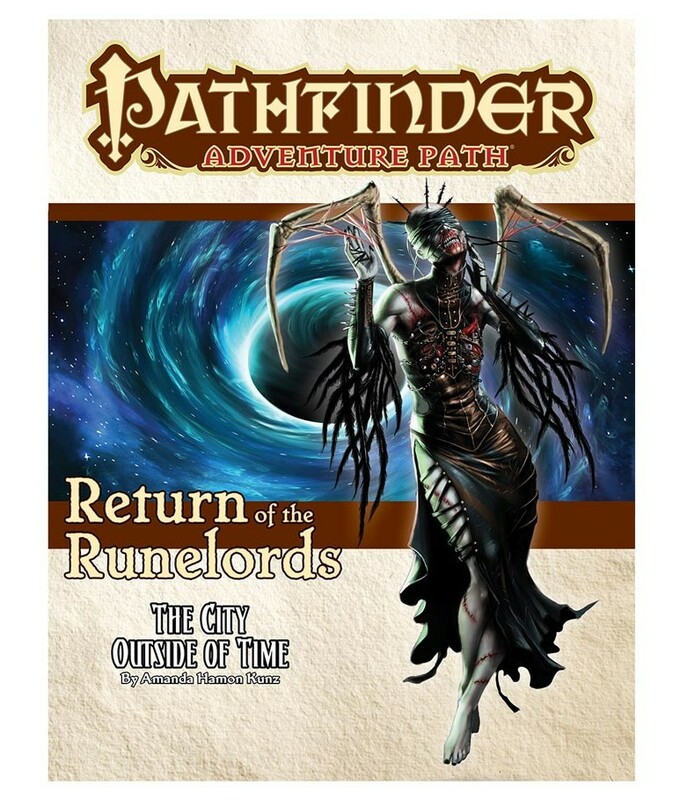 A selection of new monsters, an exploration of artifacts from ancient Thassilon, and revelations about the demigods on the Shadow Plane round out this volume of the Pathfinder Adventure Path. 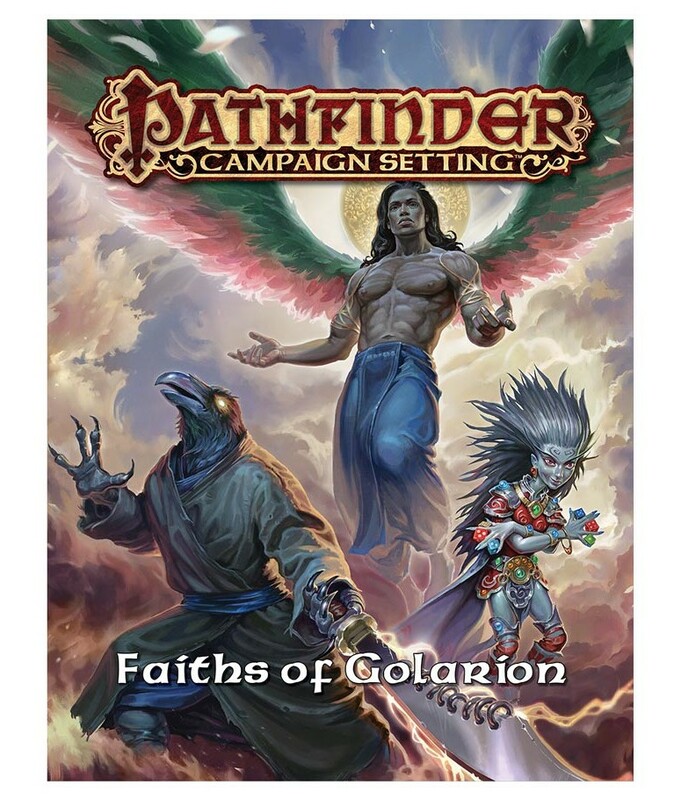 Pathfinder Campaign Setting: Faiths of Golarion sheds light on 10 lesser-known deities, some popular within the Inner Sea Region, and some worshipped mostly in the lands beyond. From Chaldira Zuzaristan, the mischievous halfling god of luck, to Nivi Rhombodazzle, the deep gnome god of gambling, to Gruhastha the Keeper and Hei Feng the Duke of Thunder, this book offers details about these gods' histories, dogmas, and practices, all designed to enrich your campaigns with new divine lore. Infected with a sickness that threatens to turn them into twisted murderers, the heroes travel to the city of Cuvacara on the planet Verces to find the possible origin of the madness! They soon discover that a sinister company plans to release a new social media app that will corrupt the entire city. Surviving attacks from corporate assassins, the heroes can shut down the app's servers and discover the location of the company's hidden underground base on the planet’s Darkside. Within are individuals who seem to have willingly undergone transformation and protect the facility with their lives. After confronting the charismatic executive in charge and learning of the mad scientist who created the signal, the heroes find out they are now trapped on the Shadow Plane! 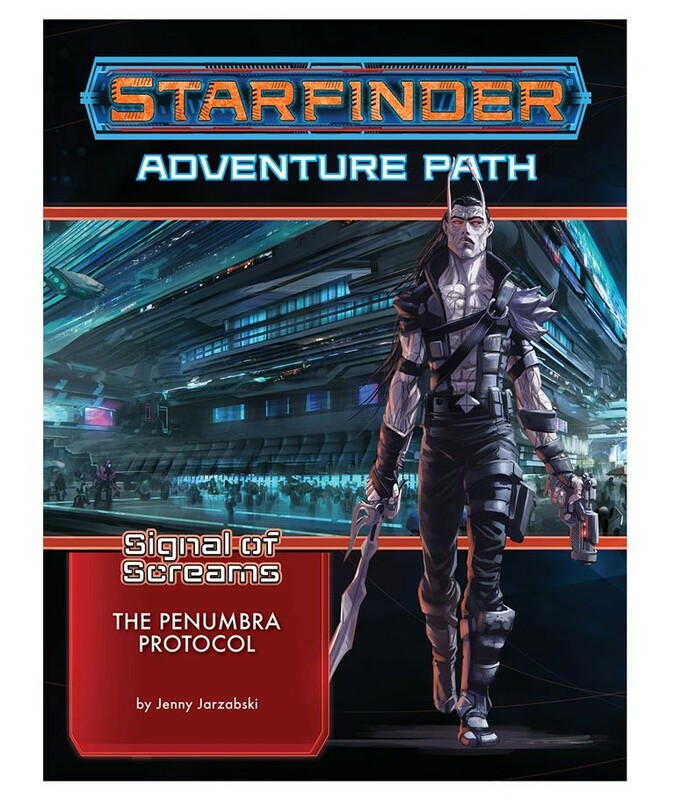 "The Penumbra Protocol" is a Starfinder Roleplaying Game adventure for four 9th-level characters. The adventure continues the Signal of Screams Adventure Path, a 3-part, monthly campaign in which players race to find the source of a mystical signal that warps both minds and bodies. It also includes a gazetteer of the technological metropolis of Cuvacara, a discussion of the shadowy fiends known as velstracs, and a selection of horrifying new monsters.